As the 21st century nears, there is a need to seriously reconsider many aspects of modeling and controlling large, complex, man-made systems. Integration of technologies and functions requires deep interdisciplinary expertise and technical breadth for successful implementation. 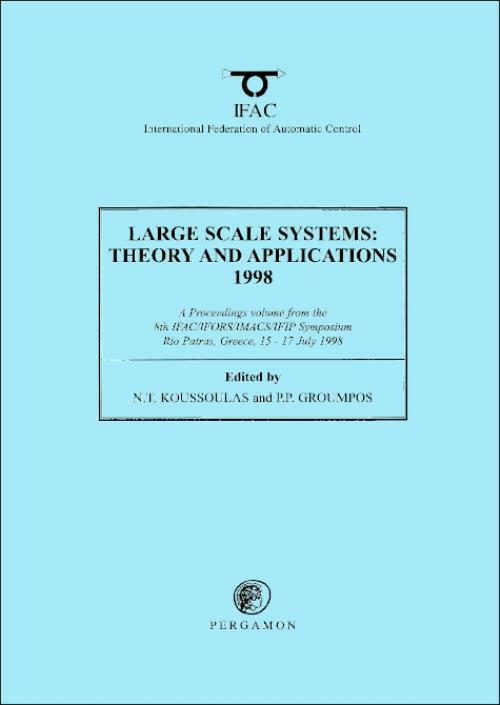 Large scale systems theory can play a central role in this effort and it is a strongly held belief that this approach will continue to be of major importance in the future. including Multicriteria. Advanced methods for evolutionary optimisation (P. Adamidis et al. ).